What is the policy regarding public access to court records? All records of the Municipal Court, except those specifically exempted by law such as cases involving juveniles, are open to the public during normal business hours. How do I make a request for case information? Requests may be made orally to any Municipal Court staff or in writing to the Records Custodian. The Municipal Court may require a request be made in writing to include sufficient detail as to the records being requested. Who is the Records Custodian for the Milwaukee Municipal Court? How soon will I be able to review the information I want? The Municipal Court will make every effort to notify you of receipt of the request within two days of the request. Municipal Court staff will review your request and provide a date and time when the records should be available. The Court will provide responsive records as soon practicable. What are the guidelines for reviewing the records in person? Records may be reviewed only under Municipal Court staff supervision. Any copies of records will be made by Municipal Court staff for a fee. What are the fees for requesting to review or copy case records? No search fees will be charged for the inspection of documents if the court staff time cost is less than $50.00. Prepayment will be required if the estimated staff cost is $50.00 or more or if direct costs to the Municipal Court (other than staff costs) total $5.00 or more. Copying fees are $0.25 per page. Is there a way to appeal a decision by the Records Custodian regarding my request for records? Appeals of any decision by the Records Custodian regarding records requests may be made to the Presiding Judge. 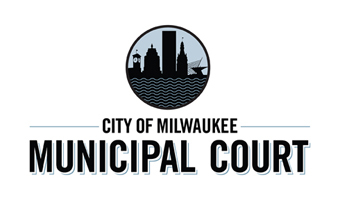 How can I receive information regarding a specific case handled by the Milwaukee Municipal Court? To receive information regarding a specific case, you may call the Milwaukee Municipal Court at 286-3800 during normal business hours. When calling, please be able to provide the citation or case number and your current address. How can I get information on a case involving a juvenile? If you're the defendant or if you're the defendant's parent, guardian or legal counsel, you must appear personally at the Municipal Court with proper identification. 10201 W. Watertown Plank Rd. For more information regarding access to juvenile records, please click here. When you receive the written permission, bring it with you to the Municipal Court. Be prepared to show appropriate identification.